VICTORIA, BC – Phillips Brewing has announced that one of its longest-standing core brands is now available in cans for the first time. Pours a deep copper colour and features a full, malty and round body. The nose is slightly nutty. Smooth mouth feel and a sweet brown sugar taste with hints of toasted hazelnuts. Co-operative fluid dynamic techniques result in a beer that is greater than the sum of its parts. 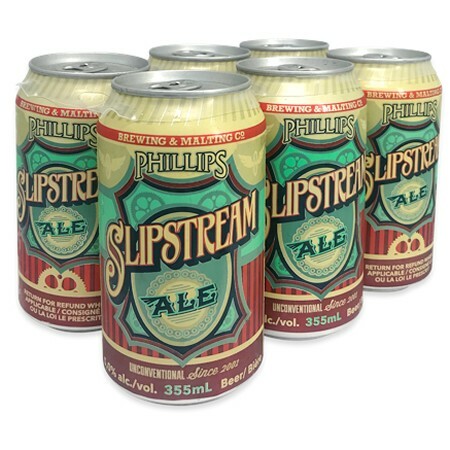 Previously available in bottles and on draught, Slipstream is now being distributed in 355 ml cans, available at Phillips and select private liquor stores.